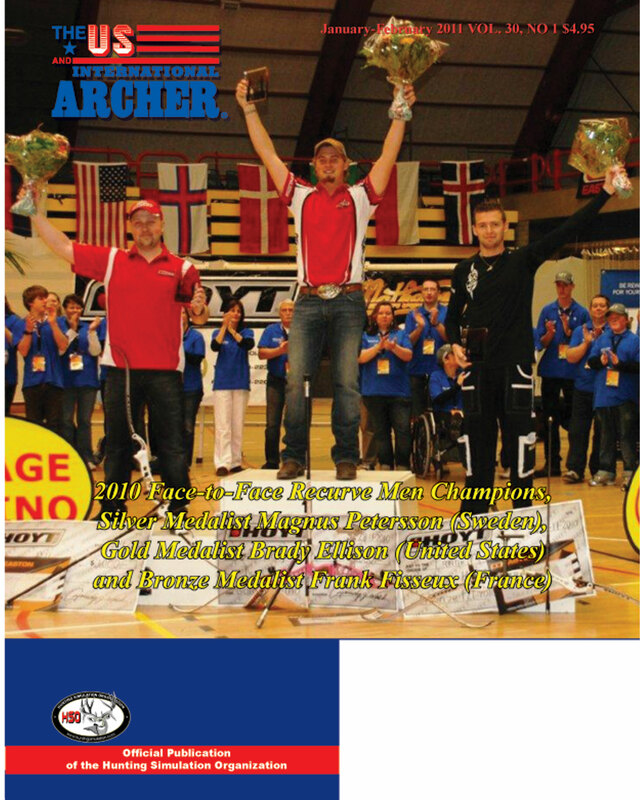 Looking for a specific previous U.S. & International Archer magazine issue? Or maybe you’d like to add to your collection. Either way, you’ve come to the right place! Many back issues are available for just $10.00 each. Please complete the form below or contact us to request a copy of a back issue for $10.00 each. Looking to get a whole year? 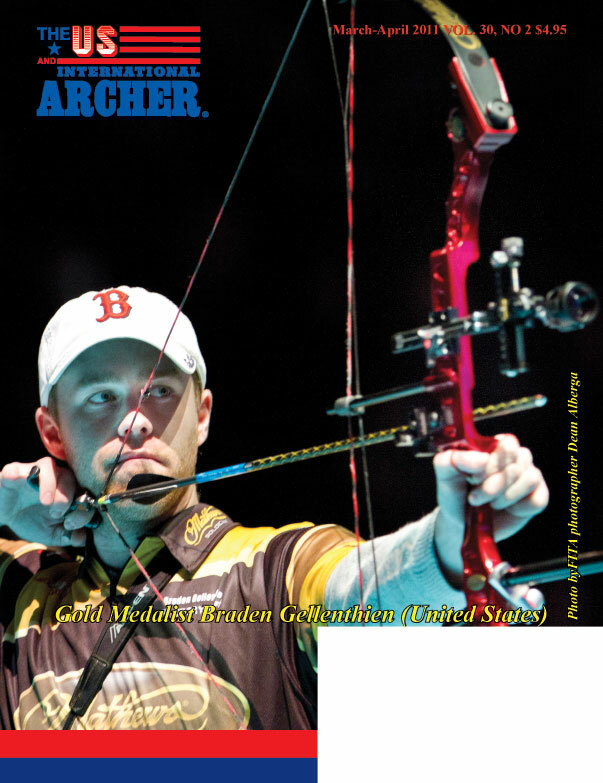 The US and International Archer is issued every other month, with a total of 6 issues a year. 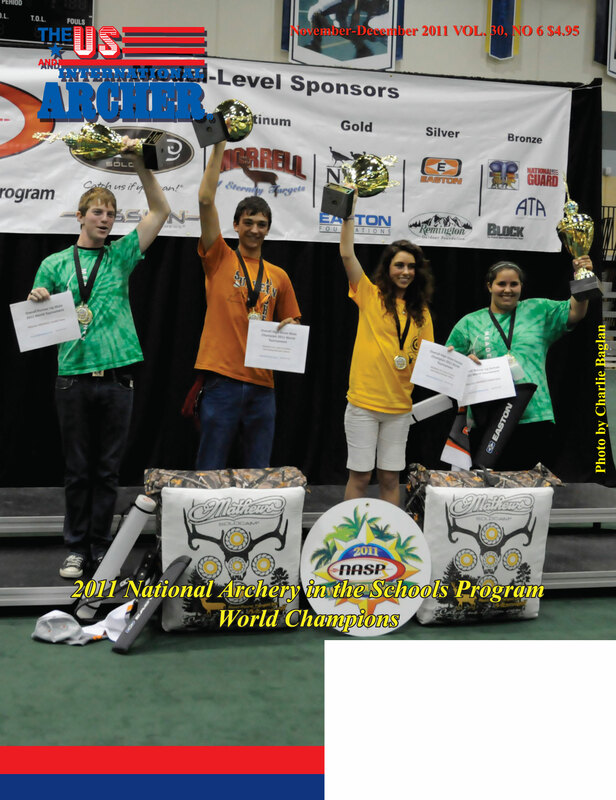 2011 National Archery in the Schools Program World Champions. Photo by Charlie Baglan. New Products – Target Sets, Brownell & Company, Trueflight Feathers, Easton Foundation, Scott Archery, Arnold’s Expo, NFAA & American Whitetail Targets. From the Senior Corner by Joe Bauernfeind. Photos by Joe Bauernfeind. The Way it Was – Article Five by Dave Keaggy Sr.
Artakhinova, Queen of the World Archery Para Championships! The Brothers Wilde at the Big Sky Open by Tootie Brabec. 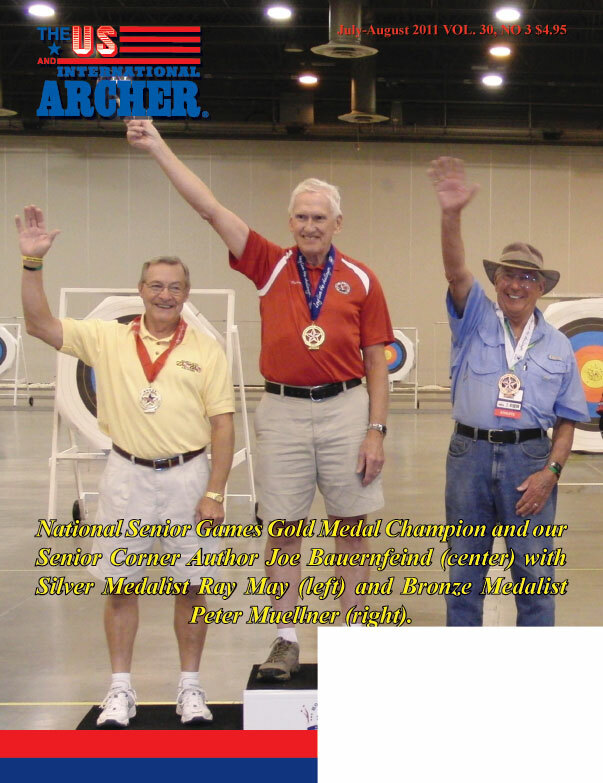 The Way it Was – Article Four by Dave Keaggy Sr.
National Senior Games Gold Medal Champion and our Senior Corner Author Joe Bauernfeind (center) with Silver Medalist (left) Ray May and Bronze Medalist Peter Muellner (right). News – Target Communications, Robinhood Archery, Easton Foundations, Spot Hogg, Norway Industries, Specialty Archery LLC, BCY and Firenock. 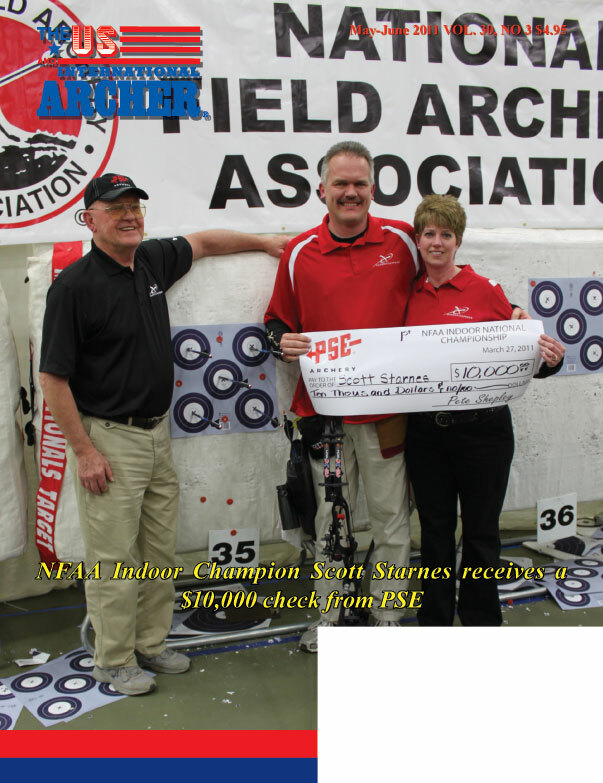 Archery News & New Products – Alpine Archery, Arrowmat, Carbon Express, Brownell, Spot Hogg Archery, GamePlan Gear, Norway Industries, Precision Shooting Equipment, EP Hunting, ATA, HECS/Winners Choice, Alpen Optics and FHFH. The Way it Was – Part 3 by Dave Keaggy Sr.
Nimes, France World Cup Indoor Championship Men’s Gold Medal winner Braden Gellentien (USA) Photo by Dean Alberga. 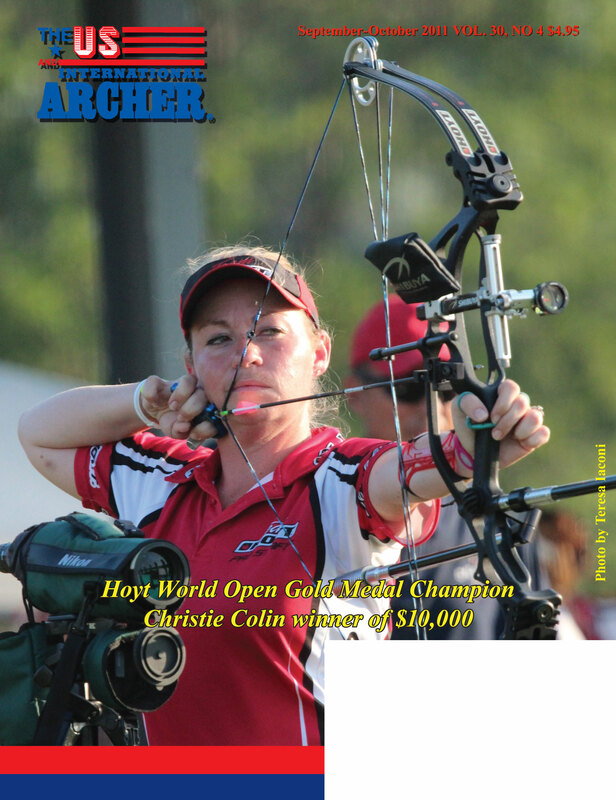 Archery News & New Products – Alpine Archery, ATA, Toxonics Archery, E.W. Bateman, Sky Archery, Jim Fletcher Archery, Specialty Archery, Carbon Express, Norway Industries, Opti-Logic Corporation, Hot Shot Manufacturing, Spot Hogg, George Chapman Archery, Shrewd Archery, Easton Technical Products. 2010 Presley’s Midwest Open Archery Tournament By Tom Dorigatti, photos by Joe Jacoby, Sr. The Way it Was by Dave Keaggy Sr.
New Products – Alpine Archery, Goat Tuff Products, American White Tail Inc., Robinhood Videos, Watching Arrows Fly, Original Brite Site, Bohning, Mathews, Specialty Archery, Carter, Shrewd Archery, Arizona Rim Country, BCY, Theory 13 Creative and Hamskea Archery Solutions. Spot-Hogg – Cam Lean…Does it matter?